We are bombarded with advertisements that encourage us to spend money, and people around us often spend money freely. Add in the increased cost of basic goods such as gas and groceries along with salaries that are often stagnant for years in the current economy, and finding money to save can be difficult. However, we all know that saving money is necessary. It can provide us with protection against the proverbial rainy day as well as help us live through an enjoyable retirement. If you want to save more, here are some ways to make it easier. 1. Find painless ways to save. If you have credit card debt, call your credit card company and negotiate the interest rate that you are paying. If the company won’t negotiate, consider switching to a company that offers 0% interest for a limited time and move some of your balance to the new card. Then, keep paying the same amount you were paying before. Your balance will go down much quicker with a lower interest rate. Call your cable company and negotiate a lower rate with them, too. They would rather lower your rate than lose you as a customer. 2. Reward yourself. In college, I once had a professor who said the most effective way to study was to study for 50 minutes and then take a 10 minute break to do whatever you wanted–play a video game, surf the web, read a book, eat a snack. Do this every hour for 3 hours, and you could get a surprising amount accomplished. The same goes with your finances. Set a small goal for yourself: pay off your smallest credit card and get the manicure you have been wanting or some other small splurge for yourself. 3. Surround yourself with savers. If your friends are eating out all weekend and hitting the clubs, you will probably find it very difficult to save money. Do you have other friends who prefer quieter (cheaper) forms of entertainment such as hiking, eating at one another’s homes and watching DVDs, for instance? If you mostly hang out with the latter group, you will find saving money much easier. 4. Publicly share your goals. Many bloggers share their financial goals. Why? Because doing so keeps them accountable. The same is true for others. If you are a blogger, by all means share your savings goals. If you are not, share your goals with your parents, friends, spouse, anyone who will listen. Once friends know you are trying to save money, they may be willing to find cheaper things to do when spending time with you. You will also feel more pressure to stay on track. 5. Save unexpected money. Maybe you weren’t expecting a tax refund but found out that you will get $525 back. Don’t just squander the money. You weren’t expecting it anyway, so put it right in your savings. If you get a raise at work, put the difference between your raise and what you used to make in your savings account. Make it easy on yourself by having that money automatically deposited in your savings account. 6. Save some denomination of money. My favorite way to save is to pay cash for almost everything. Then, whenever I receive a $5 bill in change, I automatically put that money in savings. You will be surprised how fast the money adds up. I usually save $60 to $100 a month this way. Saving is hard, but with simple mental tricks and the decision to surround yourself with people who aren’t spenders, you may find that saving becomes easier. 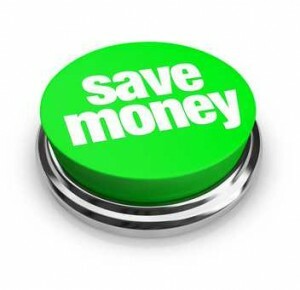 What are your favorite ways to make saving easier?